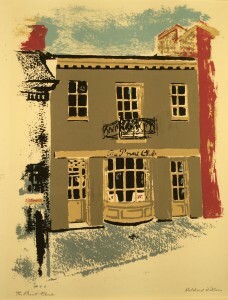 Mildred Dillon, The Print Club, Serigraph, 1944. In celebration of the Print Center’s Centennial, The Philadelphia Free Library, Print & Picture Collection is mounting an exhibition of works by artists associated with The Print Center and its predecessor The Print Club over the last 100 years. On view November 9 – December 31, 2015. Opening Reception: November 18, 6:00 – 8:00pm. & Stay Connected with The Print Center!